That's @SCSUHUSKIES_MH Robby Jackson with the #4 NCAA Hockey Play of the Week! 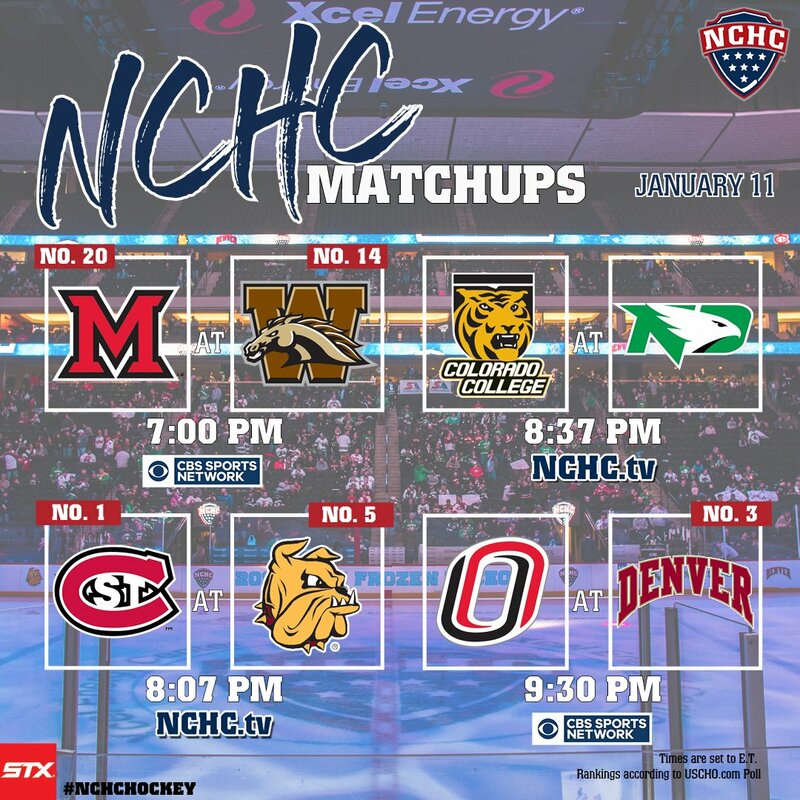 Welcome to the busiest @collegehockey day of the year! Looks like Fitgerald will be out until playoff time, maybe if things go well the last weekend of the regular season. As yesterday proved we probably will be fine even if we don't truly run 4 full forward lines out, but I believe this is the first long term injury of an impact player in the last 3 seasons if I'm not missing something. Depth starts to be an issue if we lose anyone else. The audio by the commentator at 32:50 is beyond embarrassing. We were clearly on-side and the guy whipped his stick across his shin pad - the trip. His "Oh my ooh boy" moment and his imaginary observation/description of the incident lasted about 40 seconds. The line between clean hit and no penalty and a 5 minute major and a game misconduct is paper thin. I think the no call on the Benson hit was the right call but if he was a fraction of an inch higher with his upper shoulder on upper shoulder hit I bet it would have been a major. Also the suggestion that refs target a guy like Wolfe is stupid at best. That hit has wrongly been called a major many times and I would imagine playing that kind of physical game has lead to worse hit's. That doesn't on it's own make him a dirty player but the refs are gonna make the calls they see, and the rules aren't designed to figure out intent. I didn't think either hit was dirty. He hit at the proper level and maintained discipline. I just think he caught both players with their heads down. Benson was trying to clear the puck out of the zone and had to look down to properly handle it and Fitzgerald was looking down since his shot was partially tipped, plus he was off balance letting the shot go. He clearly took a few strides at Fitzy and he was definitely on his blind side where Fitzy wouldn't have seen him coming. But Wolff made an attempt to stay low enough to not contact his head. Wolff reminds me of Jacob Trouba, Ryan Lindgren, Matt Dumba and Nick Seeler. He plays on the edge and he's going to line you up if you have your head down. Watch out if you are wide and cut to the middle. The announcers explanation that a "poke check" and "blue line centrifugal force" were not enough to enforce a blatant trip where the heal of the stick flew wide and across the players leg was a complete fabrication of what happened. The other announcer knew it was a trip. Vote for @HobeyBakerAward 2019 has started! 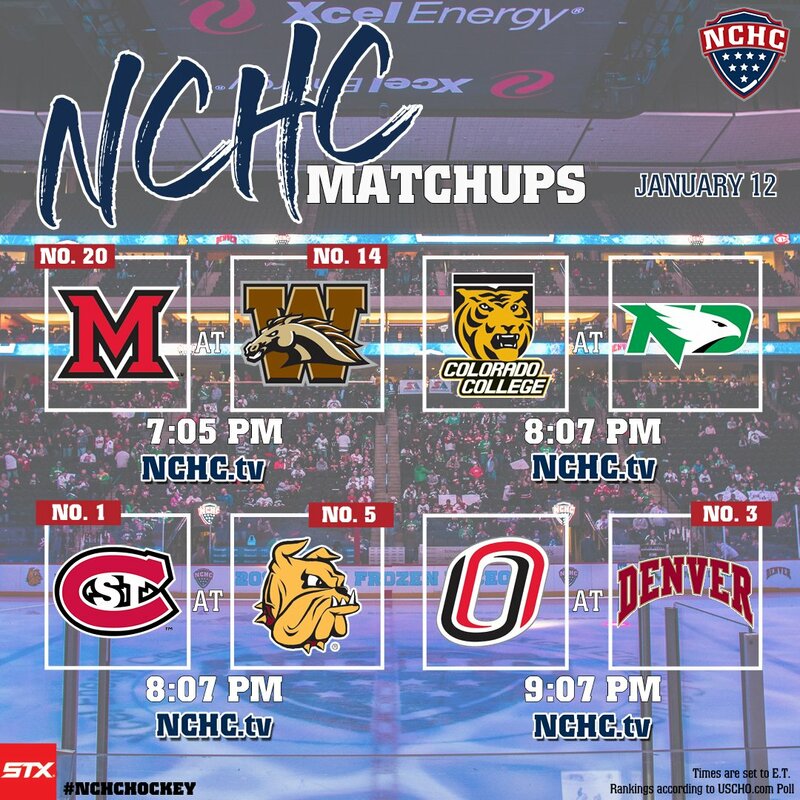 Vote today for @SCSUHUSKIES_MH Jimmy Schuldt...you can vote once per day. So vote early and vote often! Vote for Hobey! 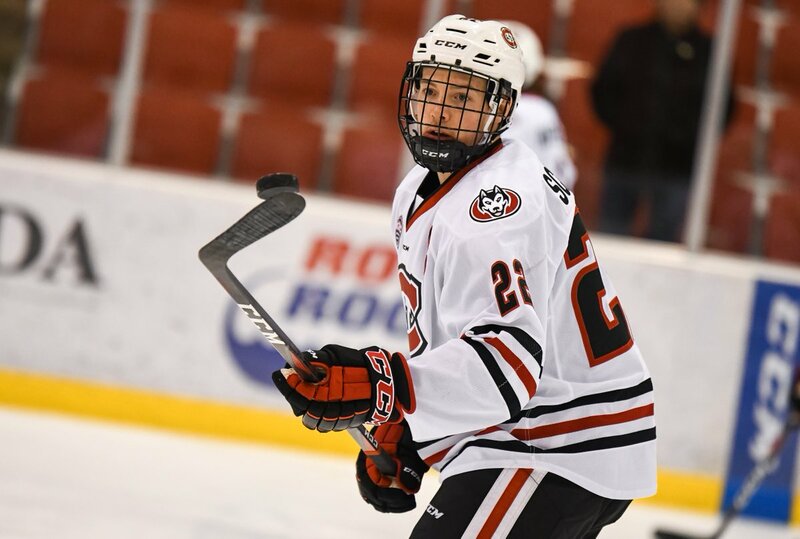 Vote for @SCSUHUSKIES_MH Jimmy Schuldt! You can vote once per day, so vote early and vote often! Pro Tip: Vote, then open up incognito mode and vote again. 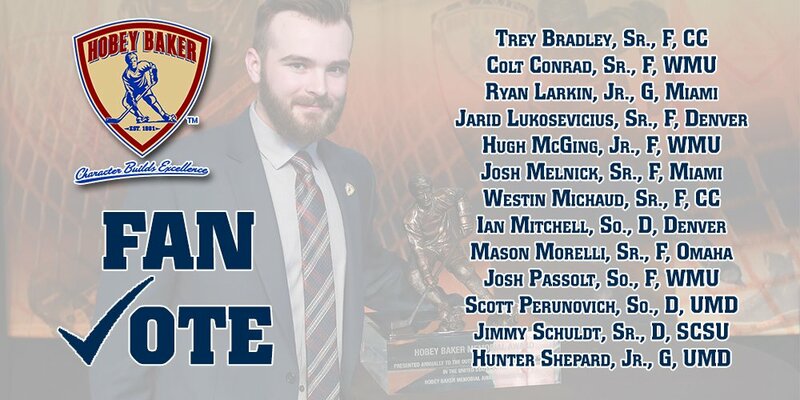 13 #NCHCHockey players are up for the @HobeyBakerAward!